View of the North Shore mountains from UBC. Between the lull of post Christmas and the long weekends on Easter and July 1st, Canadians who aren’t flush with vacation days are working nose to the grindstone. If you’re up with the roosters every day and falling asleep in your chair at night – a long weekend in February would be a welcome rest. It’s good we had this discussion because that should always be our starting point when we think about holidays like BC Family Day. When this stat holiday started four years ago, I’m sure a few of us thought “are we supposed to get together with family on this day?”. If you’re needing a rest – tell everyone you’re doing a whole bunch of nothing on this day. BUT if you are itching to get out and about, there are some interesting – and in many cases free – opportunities for British Columbians to try. 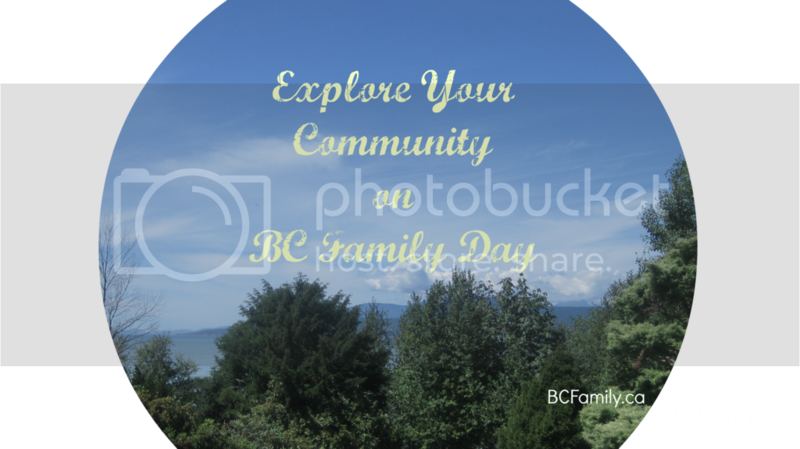 Many tourist sites and venues have picked up on the BC Family day long weekend as a good time to offer special events. You might find that your local attraction has a percentage off on admission or even free admission. Think about the places that you like to visit locally and check out their website or their Twitter account to see what they are offering. Just like on July 1st, you will find special free concerts in your community. In West Vancouver, for example, children’s musician Will Stroet will be playing a free concert with the Backyard Band at the West Vancouver Community Centre at 10:30 AM. Take in the concert and then go for a stroll along the water in Ambleside. There are plenty of options for eating and street parking in the area. One option is to drive to Dundarave, park and then walk east along the sea wall. Vocal Ensemble Musica Intima will give a free concert at St. Phillips church at 4 PM on BC Family day. Check out a local arts activity centre/store that you might not have had a chance to visit. If the weather is drizzly, this could be a fun option. At Collage Collage on Main street in Vancouver from 12 – 5 PM you can create something at their large art table. For $12 choose from their Open Studio menu instore. The Children’s Arts Festival will take place in Richmond. Workshops will be provided by professional artists and performers. Check out your nearby Community Centre – or a favourite one that is not too far away – where you might find a free swim, family skate or open gymnastics day, for example. 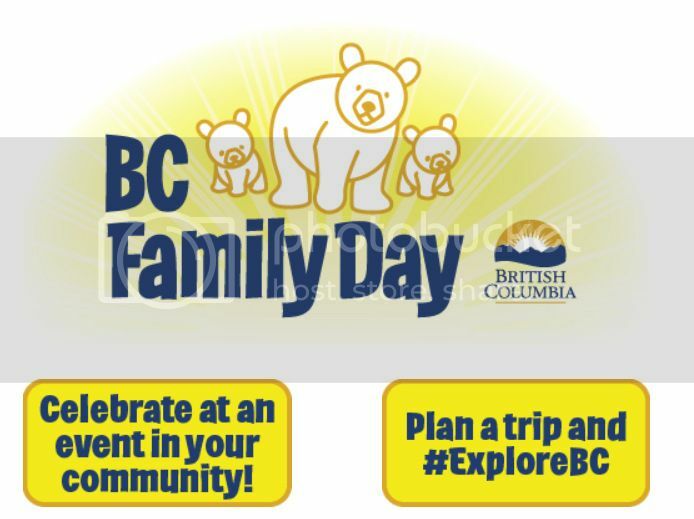 On the BC Provincial Government’s official BC Family Day Events page, look up your community or one nearby to see what events are going on. Local community centre events are listed here but do check out individual centres too in case their options weren’t listed on this site. The Burnaby Village Museum will have special events for BC Family day, including unlimited carousal rides. Other attractions – such as Fort Langley – are focussing their programming to welcome families on BC Family day. The Britannia Mining Museum north of Vancouver and south of Squamish will offer 50% off on admission tickets. Children 16 and under will have free admission at the Gulf of Georgia Cannery in Richmond. In Vancouver there will be free entrance to the Bloedel Conservatory. You can also walk around the 52 hectare Queen Elizabeth Park. There is a good amount of street parking near this site. On the BC provincial government HealthyFamiliesBC website there is a useful post about geocaching. If you’ve got access to a compass and map, you can follow their suggestion to try geocaching on BC Family Day. Whistler Blackcomb will offer 50% off on lift tickets for BC residents. Go for a walk in a local park that you’ve been meaning to visit, or take advantage of the day off and go for a day drive to a community you haven’t visited – or haven’t visited in awhile. At the BC Sports Hall of Fame youth age 12 and under are being given free admission this long weekend (as long as they are wearing their Vancouver Olympics red mittens). Whatever you do on BC Family Day, enjoy the day off. Here in BC no matter what our professional and personal commitments are, we’re all doing our best and we’re often on the go. An extra day of quiet, peaceful – or high energy and active – enjoyment with family and friends is always a good idea. On the BC Provincial government’s official page there is a five page, printable BC Family Day colouring book.